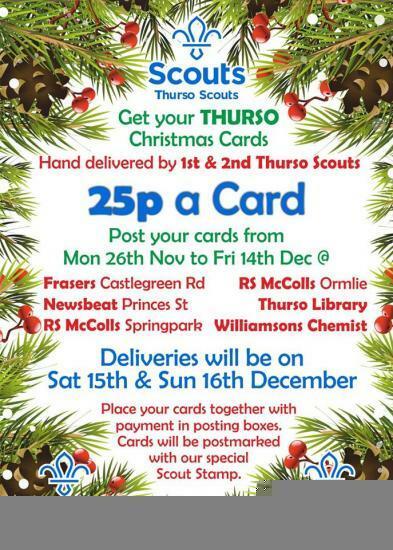 This December 1st and 2nd Thurso Scout Troops are working together to deliver thousands of Christmas cards across Thurso. Our Beavers, Cubs, Scouts, Explorers, parents and leaders will be busy sorting, stamping and delivering cards raising much needed funds to help pay for trips and equipment. This is the 5th year the fundraiser has been held so we are hoping for more cards than ever !